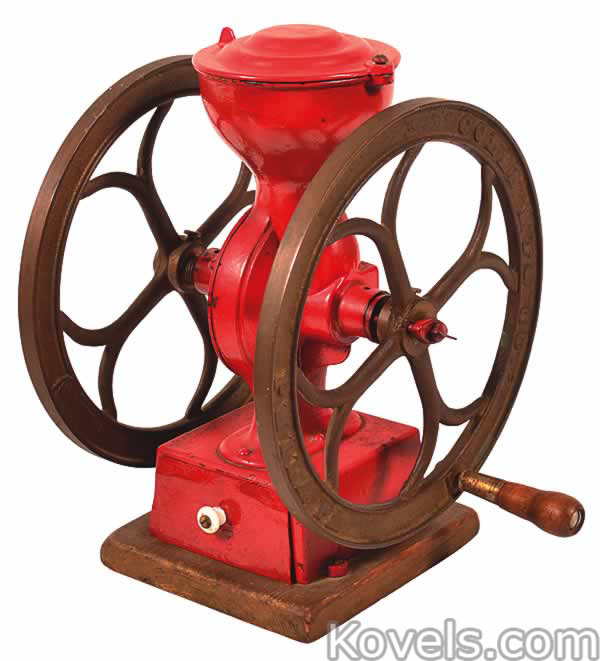 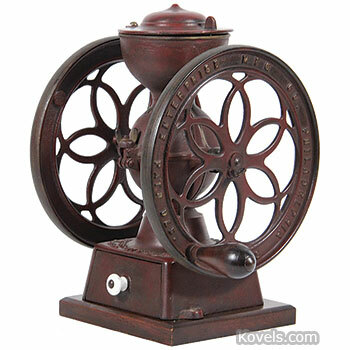 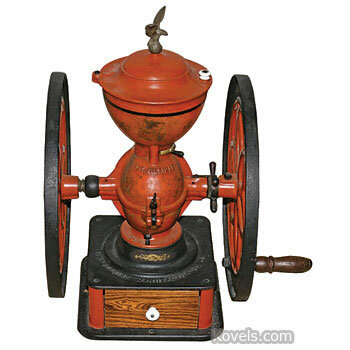 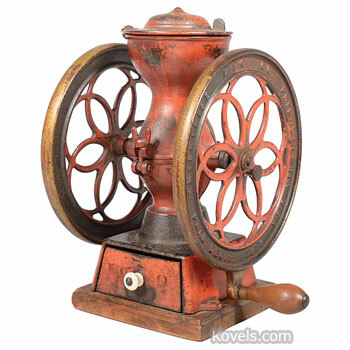 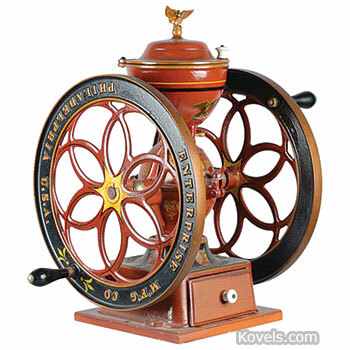 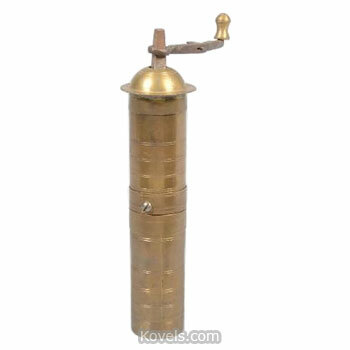 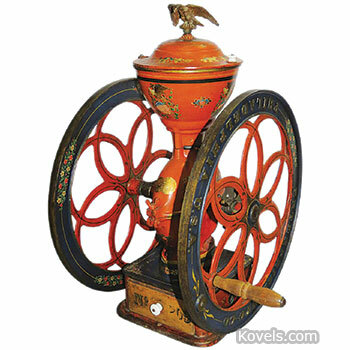 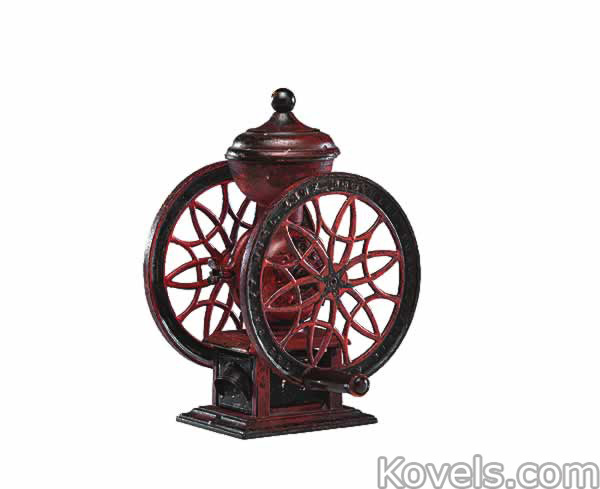 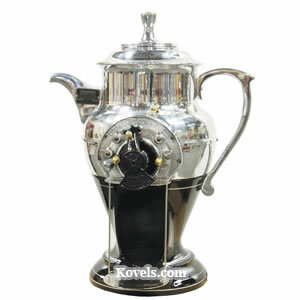 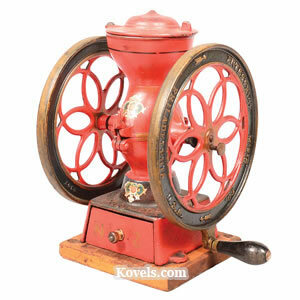 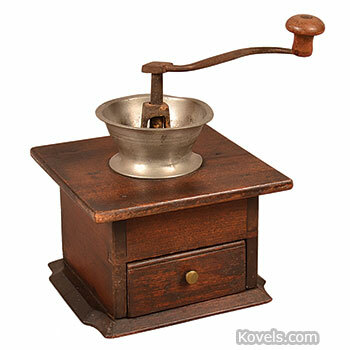 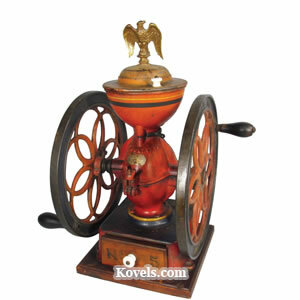 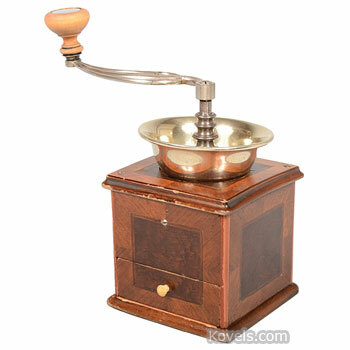 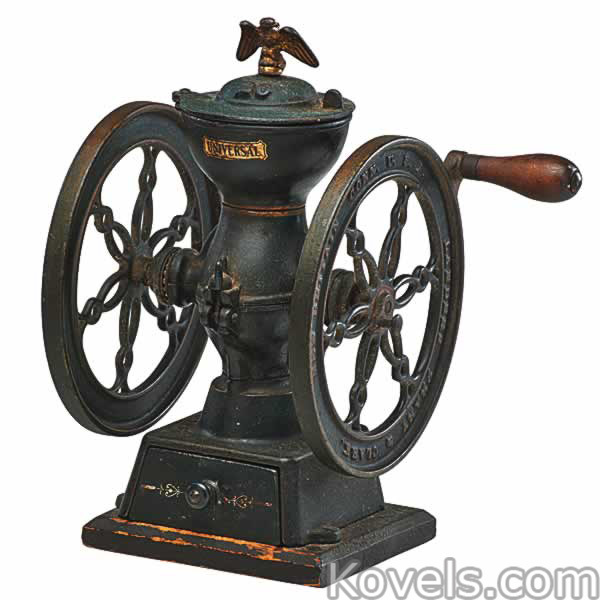 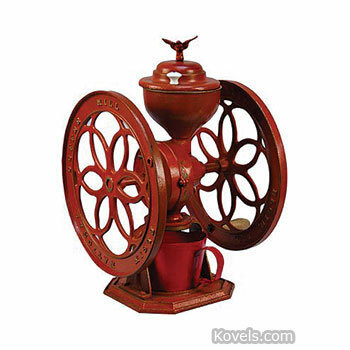 Coffee mills are also called coffee grinders, although there is a difference in the way each grinds the coffee. 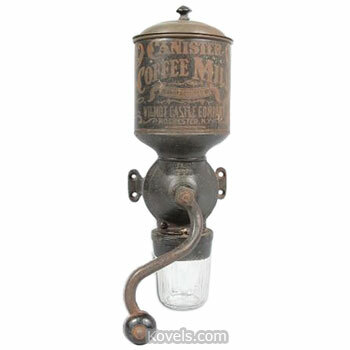 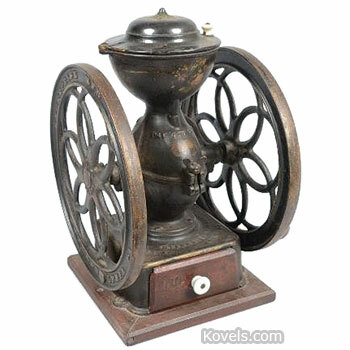 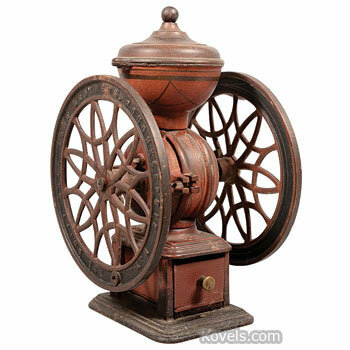 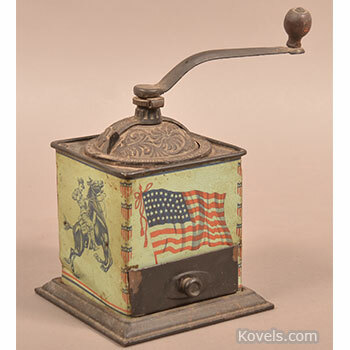 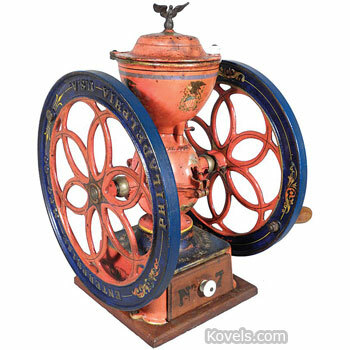 Large floor-standing or counter-model coffee mills were used in the nineteenth-century country store. 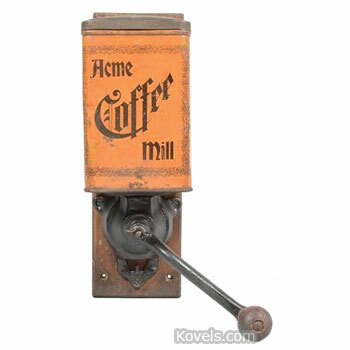 Small home mills were first made about 1894. 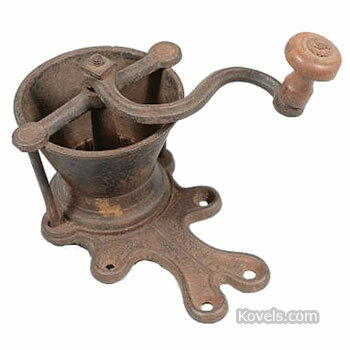 They lost favor by the 1930s. 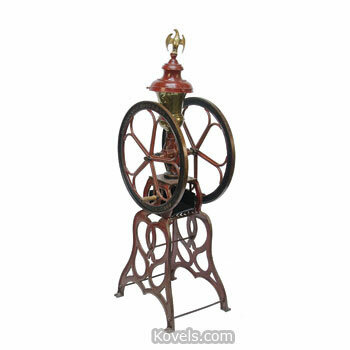 The one-wheel store model was patented in 1870 and the two-wheel model was made in 1873. 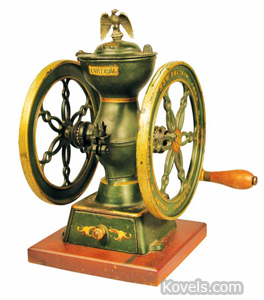 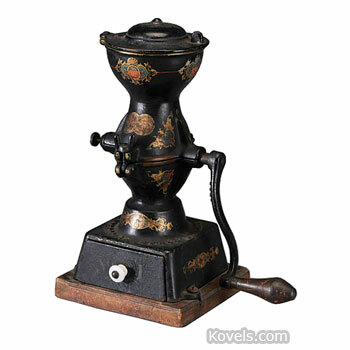 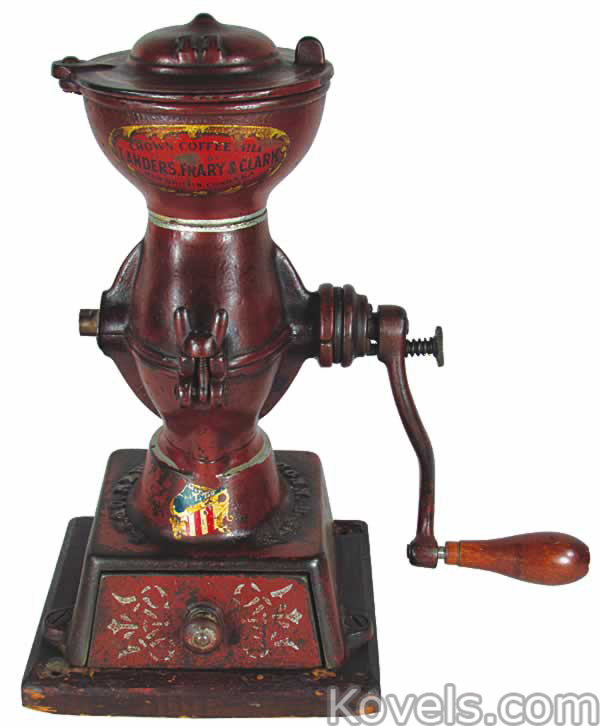 The renewed interest in fresh-ground coffee has produced many modern electric mills, hand mills, and grinders. 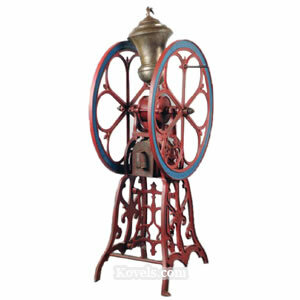 Reproductions of the old styles are being made.